The western Red Cedar is British Columbia’s official tree. It is sometimes called arbor vitae, which means “tree of life” in Latin. In Arbor-Vitae, Moscheta uses this provincial symbol to explore the intersection of memory, history and landscape. 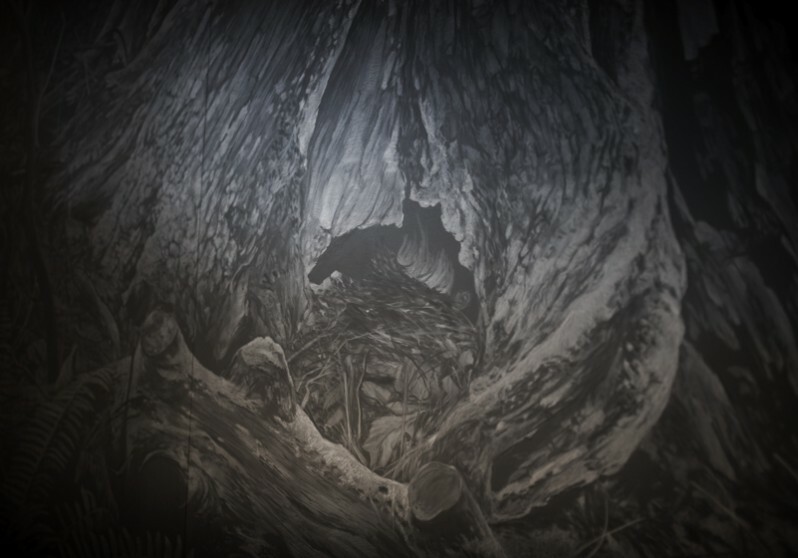 During his time in Vancouver, Moscheta undertook extensive research at the Museum of Anthropology, where he investigated the connection between the western Red Cedar Tree and the hidden layers of geography, history and culture. 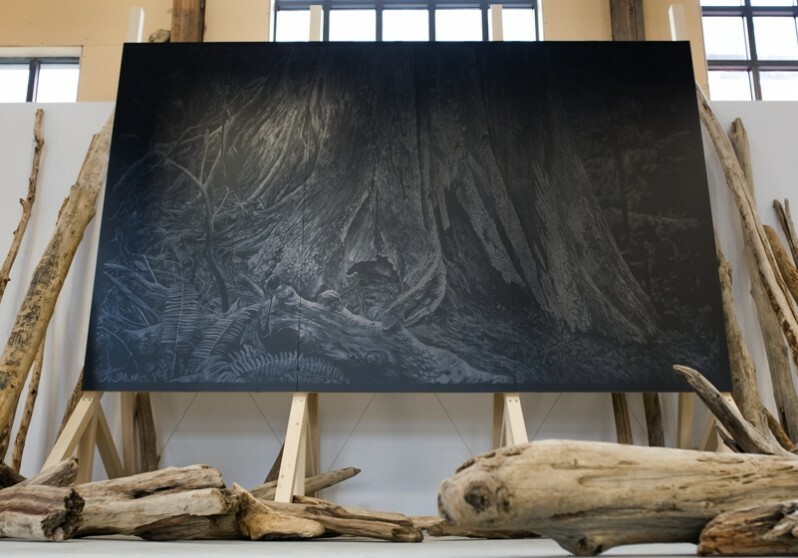 Inspired by the landscape in Stanley Park, Moscheta created a detailed graphite drawing of a tree stump on three sheets of black PVC. 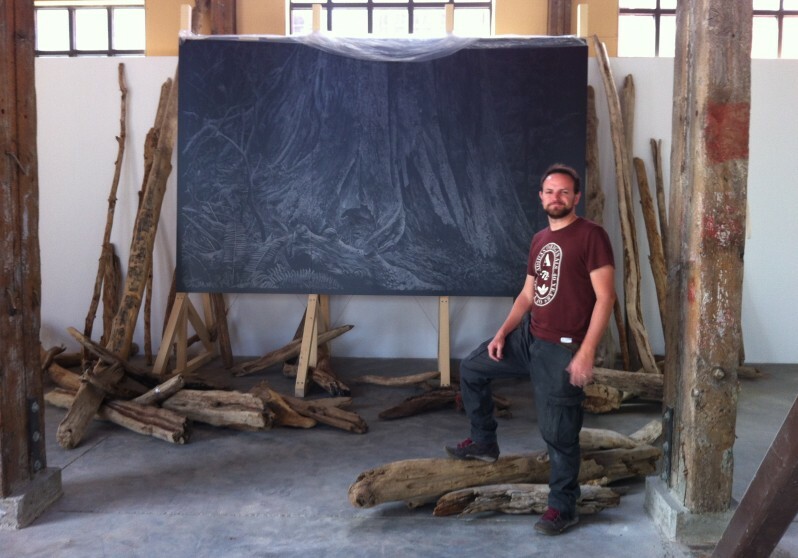 The sun-bleached driftwood placed at the base of the drawing was sourced by the artist along the city’s beaches. 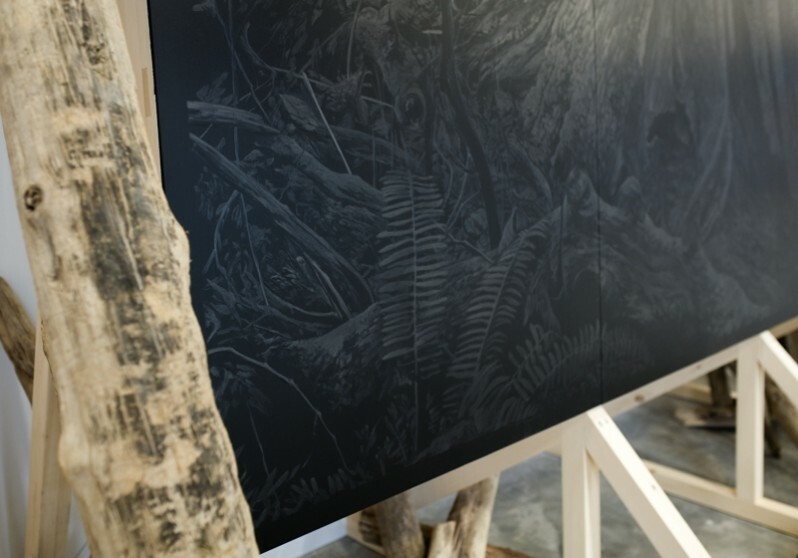 Moscheta recorded the GPS coordinates of each log, framing a poignant commentary on natural history and commercial resources. Moscheta’s work blurs physical, geographical, historic, and cultural boundaries.